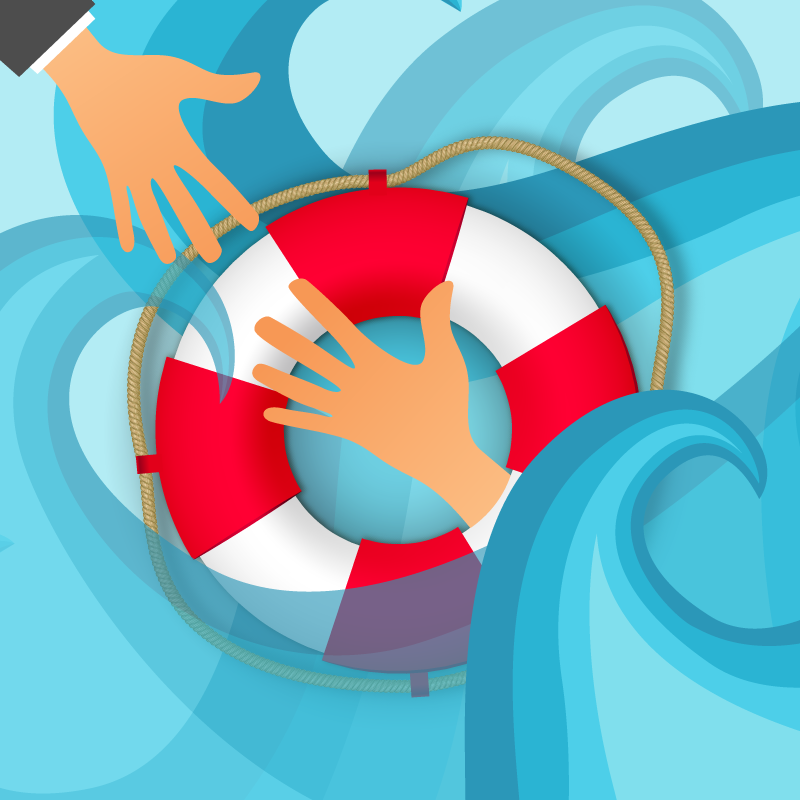 “Slash Splash, Glub Glub…” That’s the sound of our customers and prospects drowning in a sea of our content. We’re bombarding them on a daily basis, using a variety of “highways” to reach them: emails, websites, social media, phone calls, and the list goes on. Much of it’s just sand sifting back and forth in an ocean that our customers have emotionally unsubscribed from. Despite industry saturation, content marketing remains incredibly important. It’s the key conduit to communicating with prospects and customers. With 30-million pieces of new content created every day, what can we marketers do to ensure our content stands out and activates customers? There’s no silver bullet for effective content. However, there are smart, proven ways for creating valuable content that engages prospects and creates customers. Engaging prospects can be as easy as providing an answer to a burning question or introducing a new way of doing things. To make this work, it’s essential to understand your customer pain points upfront. Creating target personas is vital to providing insight into the struggles (that is, questions) you should address in your content. Helpful content engages your prospects and enriches the customer experience by delivering specific types of information: prescriptive (how to), strategic (ideas on improving processes), or philosophical (new perspectives that encourage rethinking). Not only are our brains preconditioned to think about alleviating pain, but they retain and form thoughts, and consider buying decisions based on a hierarchy of associated benefits. Helping prospects identify a pain along with the benefits of a solution causes subsequent engagements to have a higher conversion percentage. Embedding examples within your content increases understanding and affinity. Your prospects are often not as immersed in the topics you’re writing about as you are – so help them with examples, metaphors and visuals wherever possible. Whatever you do, don’t talk about how great your product or service is, or the features and functions of your solution. That’s the role of sales-enablement content. For example, in this article I don’t talk about the tools I used to write this piece, how long it took me, or even why I wrote it. Rather, this article, written in the language of fellow marketers (I hope! ), provides examples and thought leadership on creating great content. Content performs best when it addresses a specific need/pain point for a particular persona and at one buying stage. It’s personal. It speaks directly to the prospect and what they’re experiencing. Trying to boil the ocean with a single piece of content doesn’t work. The content is too broad and, as a result, speaks to no one. As a case in point, if this article were about creating content to activate prospects and reporting to the C-suite, nobody would’ve read this far. The content would’ve been too broad and, quite frankly, confusing. It wouldn’t have addressed the problem and benefits enough, and wouldn’t have clearly laid out a solution. Most importantly, it wouldn’t have resonated with you. Too much information can confuse or cause the mind to go on a tangent away from the original need. When the mind has to make a choice to proceed down one of multiple paths there is emotional friction. This in turn results in minimal engagement and activation. Customers often feel the words they’re reading don’t make sense in relation to the issues they’re facing. When terms like “synergy” and “win-win” and “best-practice” are used but the customers are talking “bottlenecks” or “metrics,” the chances of creating chemistry are reduced. Instead, use their phrases and apply them to the problem you solve. For instance, Integrate used to say they provided “data governance” for marketing organizations. Unfortunately those words didn’t resonate with their prospects. Changing the messaging to “We eliminate crappy leads” hit a huge pain point, invoking a feeling of peace with future customers. The result has been higher engagement and improved trajectory through the buying cycle. Communicating in a plain, problem-solving voice makes it easy for the customer to see the value that your solution delivers. A simple, unadorned style helps customers grasp your value and how you can help them. While it’s tempting to use buzzwords or industry speak to improve SEO rankings, these techniques usually backfire. Stellar content discovers prospects and engages them throughout the customer journey. Customers and future customers share it with others! This earned media is the extended benefit of valuable content. Brand amplification and extension. Great stories position you as a thought-leader for solving problems and facilitating business strategies. Content is essential for discovering, engaging, nurturing and delighting customers. The bottom line is that making your content relevant and unique increases your engagement impact and your marketing results.